It has recently become apparent that readers of the pressure sensor posts on my blog need a way of calibrating the MPS20N0040D-D pressure sensors. An air pump - a bicycle pump will do. 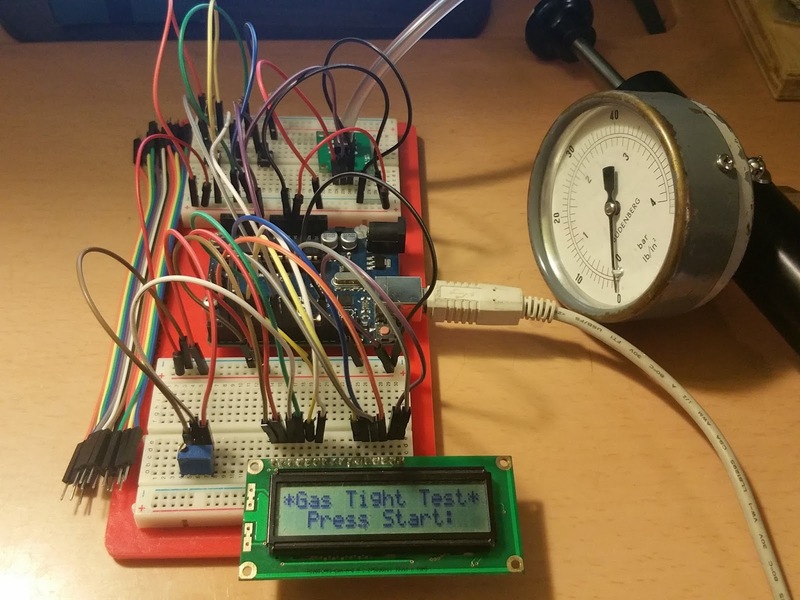 An arduino uno or other suitable microcontroller development board. 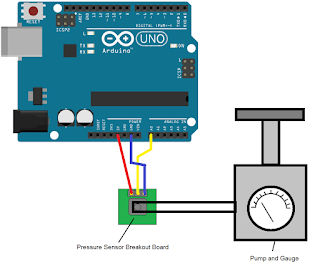 Once you have everything ready connect up the pressure sensor, analogue electronics to the arduino - I used the analogue zero pin, use whichever analogue pin required but make of note of it as the code needs to match the circuit. We can use the information from the graph and the table to display the pressure measured in psi. There are several methods to achieve this such as a lookup table which will interpolate the results. I have decided to use a map function as the results obtained a quite linear (a straight line was achieved). 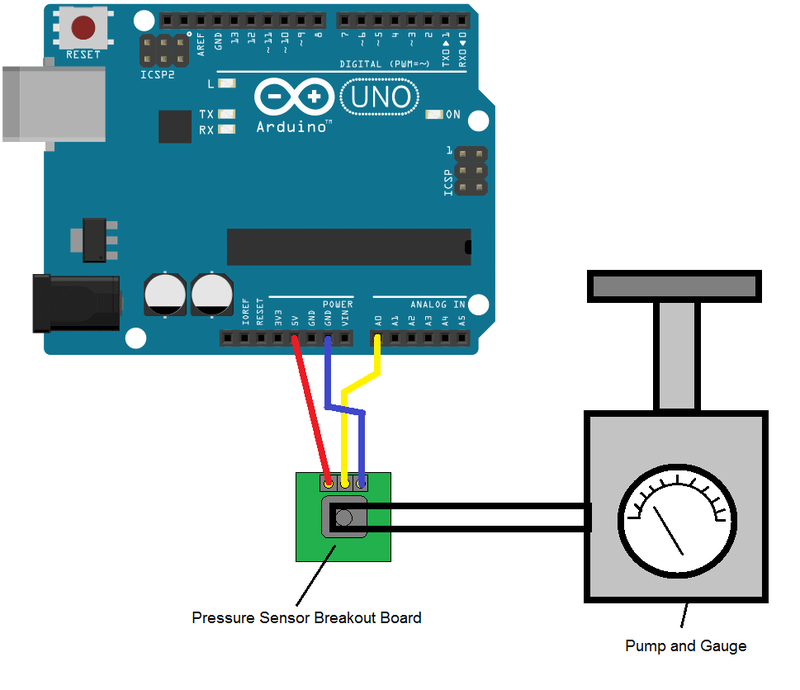 Hope this helps people make more use of the MPS20N0040D-D pressure sensor. That is all for now - take care people!